Cirkul — Miwa & Co. 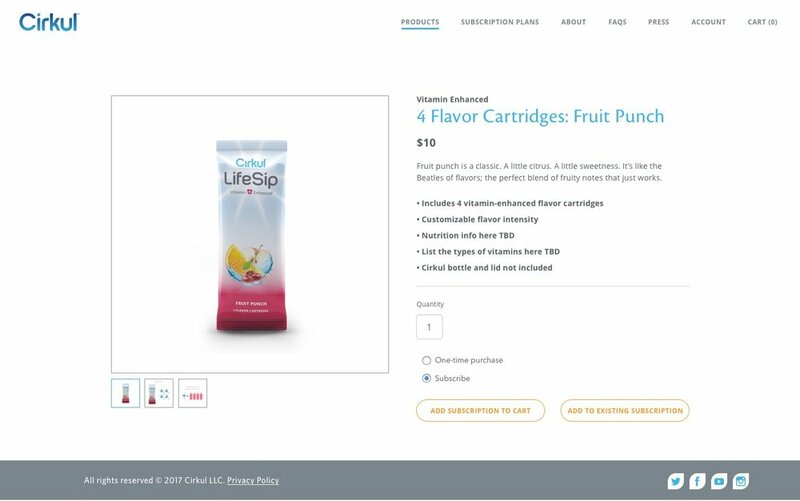 I had the pleasure to work with the Cirkul team who tasked us to help them launch their new product, a water bottle with interchangeable flavor cartridges and adjustable flavor intensity. The design was informed from consumer research, competitive analysis and brand exercises with the client. We wanted to avoid the masculine nature of other flavored water and make the site have a casual sophistication.